The gyrl grip was founded in 2001 by collaborators Lisa Newman and Llewyn Máire, currently living in the west of Ireland. They also co-direct the presenting organization, 2 Gyrlz Performative Arts. Using video, movement, sound sculpture, endurance, conceptual and text-based performance, the gyrl grip explores new possibilities of communicating what is incommunicable. The gyrl grip is driven by the desire to reveal, and de-veil challenging issues that exist within postmodern life and society. Their goal is not to provide answers, but to expose the difficult questions hidden behind cultural taboos and media spectacle, and to provide a forum for dialogue (internal and external) through the performative act. 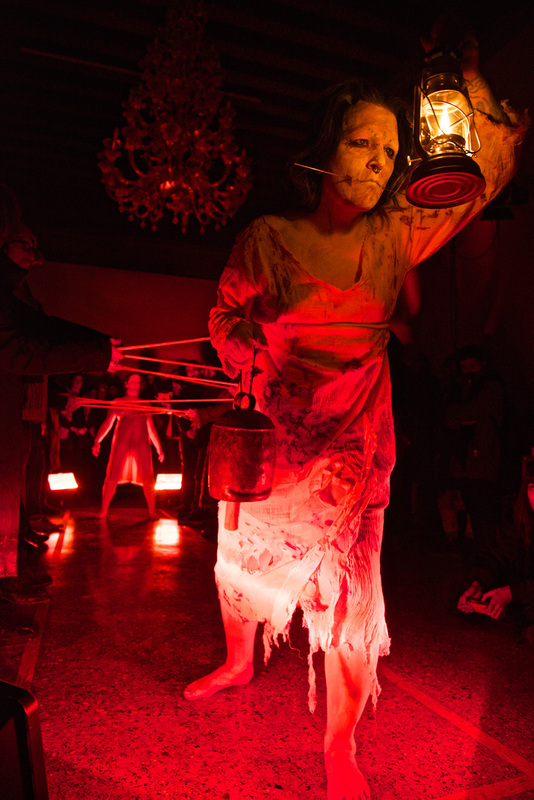 At the VENICE INTERNATIONAL PERFORMANCE ART WEEK 2016, the gyrl grip present the live performance Mnemosyne. With allusions to the voyage of Odysseus, the performance explores the longing to tether one's memories to the body. Using fragments of sound and movement, an attempt is made to map memory as a sailor would chart ports in a storm.